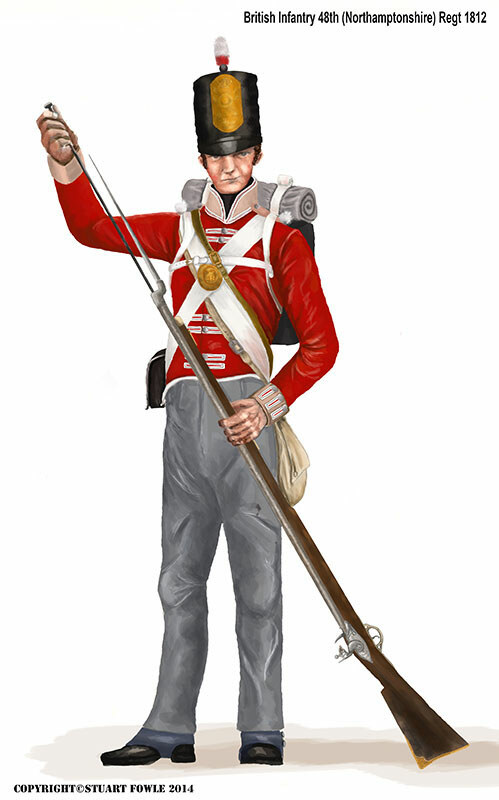 British Infantry 48th (Northamptonshire) regiment, circa 1812. Initial drawing created in pencil, scanned and then coloured digitally. 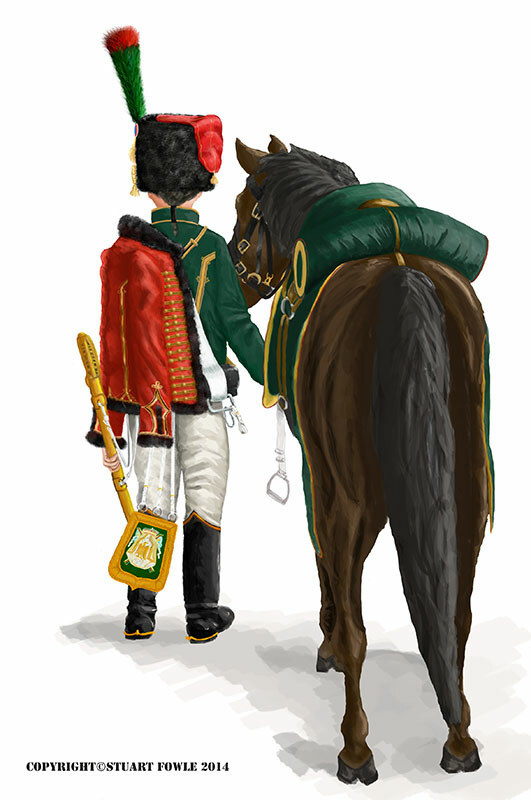 Chasseur à Cheval, Imperial Guard, circa 1812. Usual production method, of initial drawing done in pencil, scanned in to PS and corrections and colour added.